Another scandal is on the rise in the United States and David Petraeus, former CIA Director and four-star Army four General, is in focus again. This is an indicative story. David Petraeus is not an ordinary man. He is a professional military, a West Point graduate. The General has served in the ranks of special operations forces, he has commanded the 82 air-borne and 101 air assault divisions – the privileged units of US military. Petraeus graduated from West Point in 1974. He earned the General George C. Marshall Award as the top graduate of the US Army Command and General Staff College Class of 1983 at Fort Leavenworth, Kansas. He subsequently earned an M.P.A. (master of public administration) in 1985 and a Ph.D. in international relations in 1987 from Princeton University’s Woodrow Wilson School of Public and International Affairs. Petraeus also served as an Assistant Professor of International Relations at the US Military Academy from 1985 to 1987. His Princeton dissertation was devoted to The American Military and the Lessons of Vietnam: a Study of Military Influence and the Use of Force in the post-Vietnam Era. The General went to Iraq twice, once in the capacity of Commanding General, Multi-national Force, Iraq. In 2007 Mitch McConnell, the Republican Senator and the majority leader of the Senate, said during the congressional hearings, «We'll now have our very best general in charge of the operations in Iraq,» Senate Republican Leader Mitch McConnell, R-Ky., said in a statement. «If it can't be done under Gen. Petraeus, then it cannot be done at all. We ought to give him a chance to succeed». The same year Petraeus got his fourth star; few American military have done it. There are many more 100-storey buildings in the United States than the military who have made it to the rank of full general. Petraeus has always been respected, especially among military, unlike Colin Powell, the hero of Desert Storm (everyone remembers the samples he showed as a proof of Iraq’s possession of weapons of mass destruction) or Wesley Clark, who commanded the NATO operation in Yugoslavia in 1999 and wanted to use force against Russian paratroopers in Pristina. From 2008 to 2010 David Petraeus headed the US Central Command, a theater-level Unified Combatant Command of the Department of Defense. Then he got his assignments in the Army as commander of the International Security Assistance Force (ISAF) and Commander, U.S. Forces Afghanistan (USFOR-A) to relieve General Stanley Allen McChrystal. The popularity of Petraeus was growing. Some even compared him with Dwight «Ike» Eisenhower. In 2008 rumors started to go around that presidential candidate Republican Senator McCain would choose David Petraeus as his running mate for vice president. It should not be surprising that General David Petraeus is being suggested as a possible Republican Party candidate in 2016 (as he was in 2012). On April 28, 2011 President Obama formally nominated Gen. David Petraeus to take over as CIA director. The candidacy was unanimously confirmed by the Senate. On September 6, General Petraeus took office. According to law, the General did not have to leave the military service, but he decided to retire and avoid talks about militarization of intelligence. The thunderstorm came a year after. On November 9, 2012, David Petraeus unexpectedly resigned. The reason was kept secret even for those whose duty was to be aware of what was going on. Senate Intelligence Committee Chairwoman Dianne Feinstein, D-Calif., had no advance warning of the David Petraeus scandal, «We received no advance notice. It was like a lightning bolt,» she told «Fox News Sunday» host Chris Wallace about the resignation of the man headed the agency key to US security. Later they found out that it was James Clapper, a retired Lieutenant General in the United States Air Force and then Director of National Intelligence, who advised Petraeus to leave. The reason was some secret FBI report about Petraeus being involved in extramarital affair and sharing secrets with people who had no access to classified information. The FBI report was submitted on November 6, 2012, right on the day of presidential election. Peter King, a Republican member of the House Intelligence Committee, said it was «inexcusable» that the FBI had waited for months to inform the White House that it was looking into a key member of Mr. Obama's national security team. «Whenever General Petraeus's name came up I believe the FBI had an absolute obligation to tell the White House, and specifically the President, what this involved,» Mr. King said. There were a lot of things to be questioned. For instance, the whole investigation was based on the testimony of Jill Kelley, the 37-year-old party organiser from Florida, a supposed love-rival, who was obsessed by being bombarded with threatening emails from Paula Broadwell, an alleged Mr. Petraeus's mistress. Petraeus knew the both of them and sent them e-mails. He insists that the relationship was purely platonic. But media immediately picked up the story about a love affair between the 60-year old CIA Director, who had recently gone through cancer treatment, with the 40-year old Paula Broodwell, who was then called «the Pentagon Monica Lewinsky». The scoop happened to be short-lived. David Petraeus is married, he has two children. Paula Broadwell is the mother of two. She is an Army Colonel, a specialist on psycho operations. Broadwell met Petraeus in 2006 when he was a speaker at the Kennedy School of Government at Harvard University. She was a graduate student at the time. She began a doctoral dissertation that included a case study of his leadership with Petraeus fully cooperating. 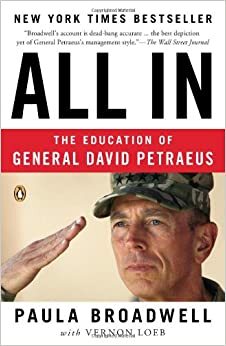 Broadwell then co-authored a biography of Petraeus, All In: The Education of General David Petraeus, with Vernon Loeb that was published in January 2012. The book was highly praised by the New York Times and Foreign Affairs to become a bestseller. The attempts to accuse the General of being involved in extramarital affair looked ridiculous enough to be abandoned soon. Nonetheless, in April 2013 FBI agents searched the General’s house in Arlington, Virginia. Black books with confidential information were found in an unlocked desk drawer in Petraeus’s study. The General was told that he would face a two-year conditional sentence and a $40 thousand fine instead of 10-15 years behind bars in case he agreed to cooperate with the investigation. Cooperation meant the admission of the fact of divulging classified information by sharing it with Paula Broadwell. The former head of CIA refused. Barack Obama and other officials stated that they did not believe Petraeus divulged any secrets that could threaten the security of the United States. What made them target the General? Making a speech at the Denver University in the spring of 2013 Paula Broadwell suddenly leaked secret information the United States tried hard to conceal. According to her, the attack against the US consulate in Benghazi in September 2011 was provoked by the fact that «a couple of Libyan militia members were taken prisoner and they think that the attack on the consulate was an effort to try to get these prisoners back,» she said. The CIA denied the information. FBI got suspicious because she could find it only from someone who had access to top secrets. David Petraeus has held the highest command and staff positions; he had a special way of thinking. He never kept away from extraordinary ideas and did not shy away from arguments with the state’s top officials. It was his idea to come to terms with Sunnis in Iraq, he openly challenged the Obama’s plans to withdraw from Afghanistan by 2014. Instead he advocated a surge to increase the strength of forces up to 40 thousand. Having become the CIA director, Petraeus got access to the information of other secret services and State Department. He saw that the military provided the most reliable and full data while other services were often not aware of the situation or submitted sexed up and biased reports. Diplomats danced to the tune. Obviously, David Petraeus did not learn the lesson taking a page out of the book by his predecessor as the commander of the Afghanistan force General Stanley Allen McChrystal whose successful career was over after an interview with Rolling Stone in 2010 when he spoke in unflattering terms about White House officials who, according to him, didn’t know the first thing about what was happening in Afghanistan. He openly mentioned the names of Vice President Joe Biden, a special adviser on Pakistan and Afghanistan under President Obama and James Jones, then National Security Advisor. The General was urgently summoned to Washington where he had to apologize, repent and submit resignation. It’s worth to note that Afghan President Hamid Karzai indicated he did not want General McChrystal replaced describing him as the best commander in nine years of US military operations in Afghanistan. His opinion was shared by many in the US Army. The resignation of Petraeus as CIA chief took place in the heat of the events in Libya. On September 11, 2012 the US consulate in Benghazi was attacked. Four US citizens were killed, including Ambassador Christopher Stevens who had the reputation of being the man behind the overthrow of the regime led by Muammar Ghaddafi. On November 15, the House intelligence committee was to hold a private grilling of the CIA director over the events in Benghazi. Petraeus was going to answer any questions asked, as well as ask the questions of his own to go into details of the matter and have a clear picture of what happened. In particular he was going to raise the issue of State Department «playing its own game» in Benghazi to involve Ambassador Chris Stevens, State Department computer expert Sean Smith and two CIA contractors: Tyrone Woods and Glen Doherty. On November 6, President Obama won his second term. Any leak related to the Benghazi events would have been inopportune. Obama was very proud of the Nobel Peace Prize he received in 2009 for «extraordinary efforts to strengthen international diplomacy and cooperation between peoples». On his part, Petraeus was adamant to go the whole hog and bring the investigation to the end to make head or tail of it. But on November 6 he was asked to resign. Then accusations followed. Three years have passed. FBI and the US Department of Justice remembered him again. It looked like his career was over, the reputation in the puritan America was damaged and he no longer had a chance to work for the government. Not that easy. General Petraeus can fight his final battle during the 2016 presidential race. Hillary Clinton is going to be the leading candidate to run on the Democratic ticket. As a Republican, David Petraeus has something to say about it. It’s known that the United States intelligence offered Gaddafi to leave without bloodshed with immunity guarantees. State Secretary Hillary Clinton blocked it. It could have been a reason for attacking the US consulate in Benghazi leading to the death of the ambassador and three other Americans. Today those in the White House who took corresponding decisions have no reason to be proud of US policy in Libya and other countries. Besides, some time ago another scandal broke in the United States. It looks especially intriguing against the background of what happened with Petraeus. Emailgate is an American political controversy surrounding Hillary Clinton’s conduct while Secretary of State. In early March 2015, a report New York Times revealed that throughout her time as Secretary of State, Clinton used her own private e-mail address and server located at Clintons’ ranch rather than government-issued departmental ones. She said that the emails were deleted, like if nothing happened. Then it became known that two assistants close to the Secretary of State also used unprotected email servers. Neither the Federal Bureau of Investigation, nor the Department of Justice has commented on the matter as of now. Obviously, all these revelations coincide with the start of presidential race in the United States. «Perception» is key, David Petraeus wrote in his 1987 Princeton dissertation: «What policymakers believe to have taken place in any particular case is what matters — more than what actually occurred». Did the general know then that he would have to go through it all himself to prove how right he was?